Distance: 145 km, Timing: full day. Highlights: Most beautiful drive in Vietnam. 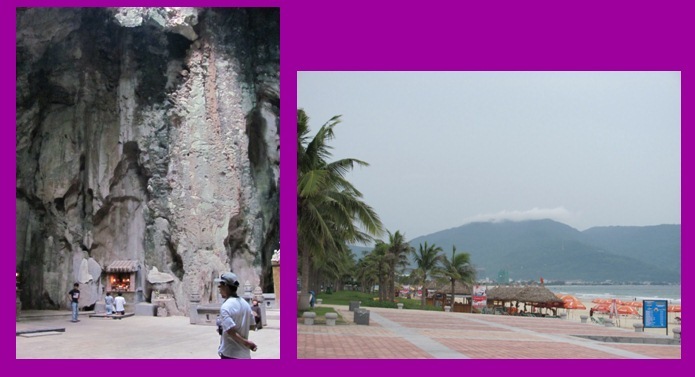 Hai Van pass stop, Elephant water fall swim, My Khe beach stop, Marble Mountains visit. Go up to the coast road, meander along the blue sea, enjoy the fresh air on your face and the whistle by your ears, get in harmony with local people in the streets, and Hahp! We arrive at Marble Mountains. Park the bikes and start visiting the site. A fresh coconut juice will make you cool down from the walk heat. Get on the bike and cruise along the “ World’s top six beaches”: My Khe beach. Cross the hanging bridge with the best city view, go along the Da Nang bay ( seems the second most beautiful bay in Vietnam after Ha Long bay! ),… and we arrive at the famous Hai Van pass. 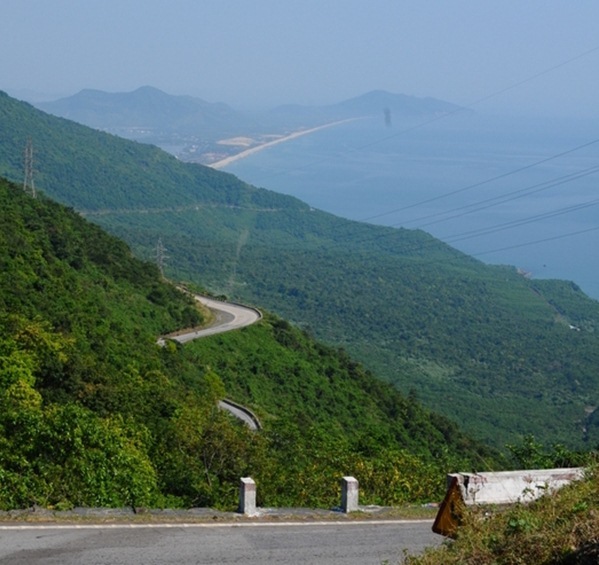 Here we start cruising the “Dream View Pass” the used to be “Vietnam’s Ever Best View”. Thirty minutes cruising up is the lifetime memoryf! Stop at the top to stay in Cloud and cool air. Take spectacular pictures and try the Vietnamese coffee right on the pass top is something special. Now is the time to cruise down. The best drive in Vietnam continues with beautiful view and feeling. The end of the pass will appear Lang Co beach, the “Ever Waving Beach”. Relax at the beach and see how beautiful the nature is. It is time for lunch now. A local meal with Vietnamese rice and vegetable and… seafood is the best choice by the sea when you are hungry now. A bit tired and want to relax for a while? Ok. We go to crystal water Elephant water fall and enjoy the O.M.G swim. Half an hour swimming in the water fall will bring you more energy to continue. We pass two small hills more before going along the river and rice fields. Pass some more local markets along the road before reaching the “Only Survival Kingdom” during our thousands of year history. Slowly cruising into the busy city and arrive at your hotel, the end of a full of feeling day with your friendly scooter. The tour will remain in your mind for a quite long time !! Thank you for reading Hue Adventure by Scooter tour with PASSION Tours. Wish you have chance to do it once.